KS Esthetics is a professional grade skincare line developed by a licensed Esthetician. The ingredients are cosmeceutical grade and are blended to work synergistically. Meaning every ingredient has a purpose to benefit and improve the skins tone, clarity, texture and fullness. A Cosmeceutical product is a blend of pharmaceutical ingredients and cosmetic or plant ingredients. These products are highly active to effectively and safely enhance the skins appearance. KS Esthetics was created and developed by licensed Esthetician, Katelin Schebler. Katelin first started her career, in skin care and makeup, back in 2005 selling one of the most recognizable brands in the cosmetic industry. 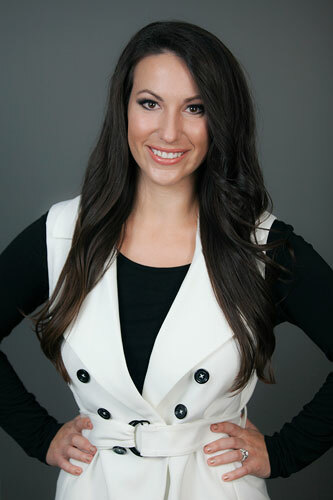 In 2007, she graduated from esthetics school and from there began her journey working for some of the top spas on the East coast, Midwest, and Southern states. Her training and background includes treating clients skin with some of the most influential and well recognized professional treatments and products. KS Esthetics was developed for estheticians and customers who are looking for high concentrations of beneficial ingredients to enhance professional and daily routines. Our formulas include proven pharmaceutical ingredients and the latest in plant technology. These unique formulas address skin aging in the most critical layers of the skin resulting in noticeable improvements and long-term results. 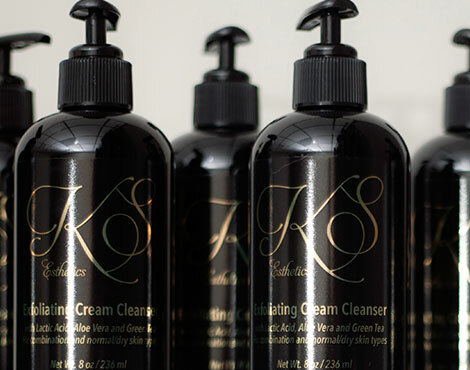 At KS Esthetics it is our mission to create an exceptional skincare brand focused on blending high concentrations of proven ingredients while infusing plant technology, which then provides superior results. At KS Esthetics we believe in making a product to perform at its best. While also making it safe for those who use it. We are proud to say our products are free of parabens, dyes, artificial fragrances, petroleum, mineral oil, propylene glycol, sodium lauryl sulfates, animal by-products and PEG.